Niki Smith joined Coldwell Banker Elite as a Realtor in 2013. She has also been working as a Realtors Assistant since 2012. Previously she worked as a licensed massage therapist for the Fredericksburg/King George area until discovering a love for real estate. 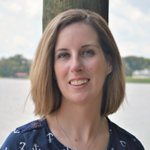 She is a lifelong resident of the Northern Neck and a graduate of Northumberland High School. She enjoys spending time with her family and her pets and is an active member of her Church and the local community. Niki is committed to providing her clients with the best experience while staying up to date with today’s fast-growing technology and changes.